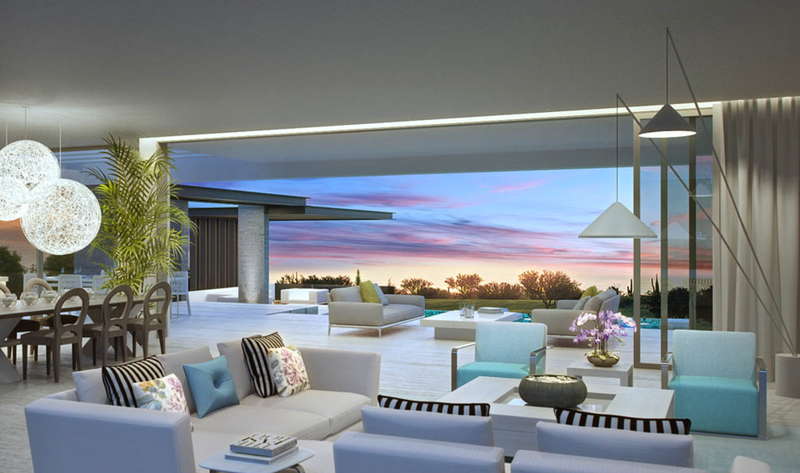 4 bedroom Contemporary Villa is under construction located in Benahavís golf course. This area is a paradise for golf and nature lovers set within the mountainside of Benahavís, but is within driving distance to the coast and the Spanish towns of Marbella and Estepona. 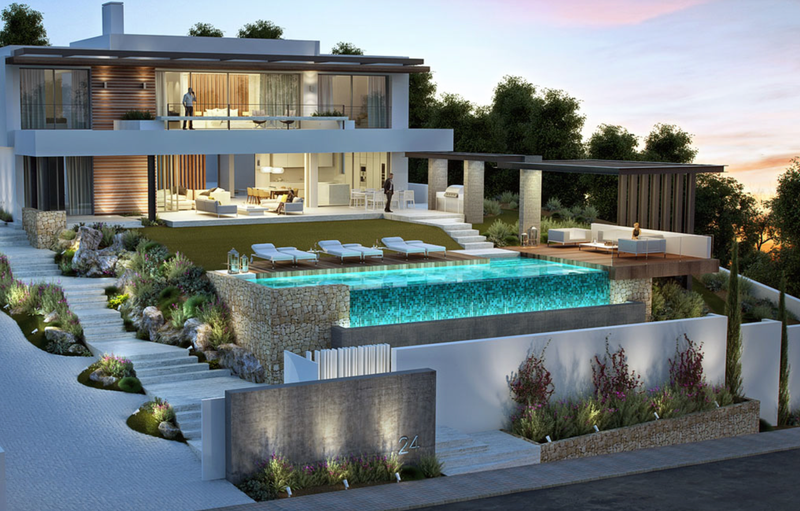 This modern exclusive villa is south facing and is being constructed with the finest quality materials built over 3 levels, a basement, main floor and first floor. The basement includes garage and storeroom. This spacious and bright villa with floor to ceiling windows comprises on the main floor the living and dining room as well as the fully equipped kitchen with top end appliances. The ground floor consists of large spacious open plan living and dining area and kitchen with island, the kitchen being built to high specifications. The living area leads out onto the beautiful large terrace and chill out area. On this floor there is a guest toilet. 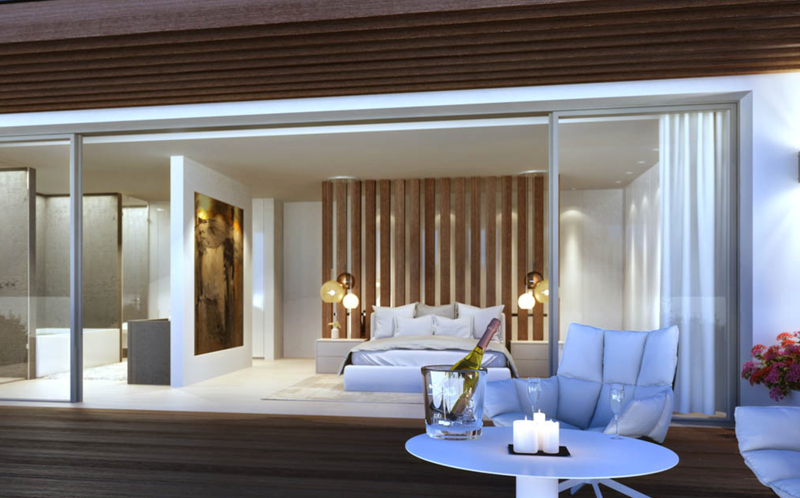 The first floor will comprise three ample bright and airy bedrooms with en suite bathrooms. Finally on the basement floor there is an apartment with one bedroom, lounge area, shower room and kitchenette.